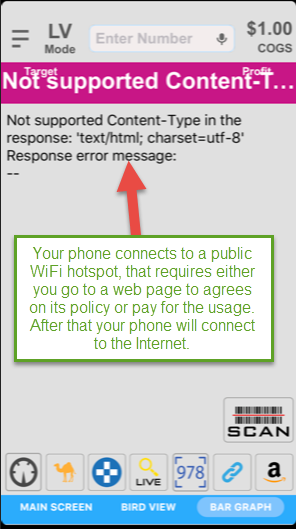 If your phone connects to a public WiFi hotspot, it may ask for a security authentication or a term agreement before an Internet connection can be made on this phone. The easier way is just to disable WiFi on your phone, so you only use your phone company’s cellular data service. 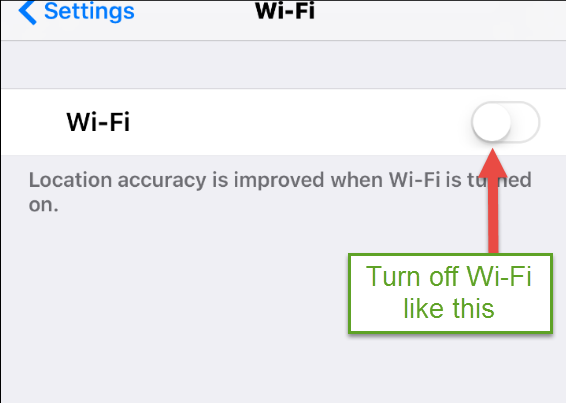 To turn off WiFi, go to the phone -> Settings -> Wi-Fi and toggle it off. The harder way is you start a browser and go to a website like http://www.google.com. The public WiFi will redirect you to a page to either login or agree to the policy before an Internet connection can be established in this WiFi network.